When you think of trading penny stocks, you might think of Jordan Belfort, who was played by Leonardo DiCaprio in the film “The Wolf of Wall Street.” While that movie shows the penny stock world to be one of huge gains, big risks, and lavish lifestyles, the average person can learn to trade penny stocks. Read on to jump-start your learning experience today. To invest in penny stocks, start by picking a subject area you feel comfortable talking about. For instance, if you’re a doctor or nurse, you might be in a good position to make predictions about medical supplies. Likewise, a carpenter might know something about wood or other building materials. Traders often use their hobbies and interests to their advantage. The more they know about a subject, the better they can predict where a certain market may be heading. Starting in your comfort zone will help make penny stocks easier to learn in the early going. Penny stock traders use some unique phrases that you’ll need to be very familiar with before you start trading. Before you get sucked into a “pump and dump” or “reverse merger,” you’ll have to know what they mean. Both phrases refer to deceptive, predatory practices. Oftentimes, someone will try to lure traders into a seemingly perfect trade scenario, only to make off with the riches and leave everyone else with lost investments. Learn the language, so you can spot fraudsters and “wolves” of the industry. Penny stocks are high-risk investments. It’s commonly stated that only 10 percent of investors will make a profit. That means 90 percent of penny stock traders lose it all. A professional stock broker will help minimize — but not eliminate — the risk. Beware of fraud in the penny stock trade. Go with top brokers, such as TD Ameritrade, Fidelity, Charles Schwab, Interactive Brokers, or E*TRADE. They’ll work with you to set goals and help control risk. But remember, the higher the risk, the higher the potential reward. Use their experience and expertise wisely. Write down your goals on a sheet of paper. Keep it in a visible place at work or home. It will remind you of your objectives and what you have to lose by going too far. This is important because high-risk investments are a bit like gambling. In other words, you’re playing the odds in a market that is much less predictable than the traditional stock market. Ensure your broker has your best interests at heart before letting them trade with your money. They should help you set a goal, and you need to stick to your objectives. 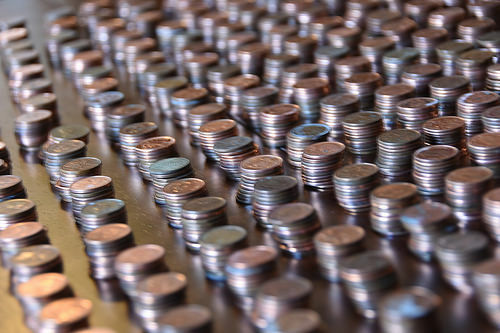 With the right attitude and a solid plan, learning to trade penny stocks is possible. Remember to start with what you know, learn the basic terminology, and let a professional help you along. Excited to learn more? Tell us about it in the comments below!